You are here: Home / Indigenous Awareness News / Indigenous Awareness / Who are Métis? Some 450,000 Aboriginal people identify themselves as Métis. Their history, language and culture dates back hundreds of years, but most Canadians know little about them. 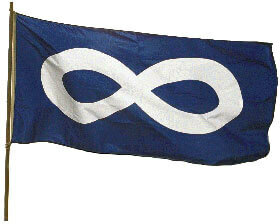 The Métis peoples constitute a distinct Aboriginal nation. They have a shared history, common culture, a distinct way of life, traditional territory and collective consciousness. Métis are Aboriginal peoples distinct from the First Nations and Inuit. Métis are people of mixed First Nation and European ancestry who identify themselves as Métis. The term Métis is broadly used in Canada to designate people who have mixed First Nations and European, Asian, or African ancestry. The Métis have a unique culture that draws on their diverse ancestral origins.